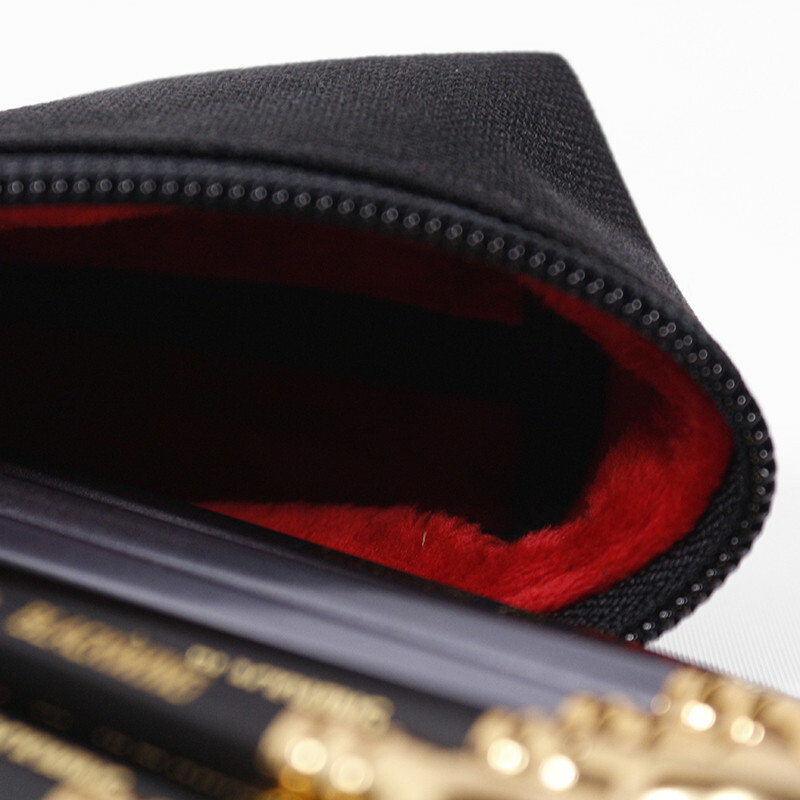 Pamper your pencils with the softest zipper pouches on the planet! We've taken the common zipper pouch to a whole new level with our luxurious plush interior — the same material used for ultra-soft childrens' plush toys. We guarantee you'll feel the difference! With our vast array of color choices, you can coordinate with any outfit, and color code your everyday carry items — pencils in one, pens in another, and cables and charger in yet another. We designed our pouches with a flat bottom to sit upright, and zipper top to open-wide when unzipped for easy access to the contents. 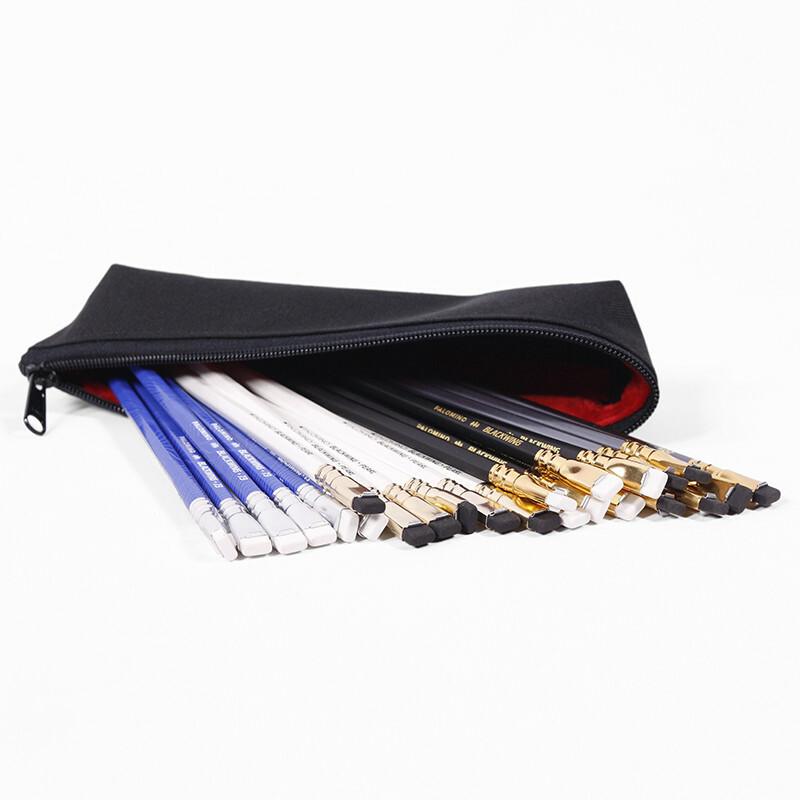 This pouch holds 24 pencils, and is sized specifically to accommodate full-length Blackwing® pencils. Dimensions: Base: 2"W x 8.5"L; Height: 2"; Zipper Length 10"
We will be delighted to make a custom fabric/color combo for you. There's a small fee for the extra work involved, and custom pouches are not returnable. You have the choice of: (1) OUTSIDE fabric/color, (2) INSIDE plush color, and (3) LABEL color. Please note your custom selection in the "Special Intructions" box during checkout. As an avid pencil and Blackwing lover I’ve run into the challenge of housing my pencils. Pencil cases usually come in the My Little Pony varieties (I’ve had one) or cigar box (had those too). When I came across this pencil bag I was excited give it a try. I picked up the black exterior with red interior. The stitching is the first thing I noticed. Well designed with good quality materials the inside even has a nice padded feel. I immediately emptied my cigar box full of pencils (around 20) and there was still room for a small sharpener and eraser. Great product and if you’re a pencil lover, I highly recommended picking one up.